The monitoring centres that Groupe Vigilance employs are 5 Diamond certified and ULC-listed (Underwriters Laboratories of Canada). They rank among the most effective security facilities in North America. 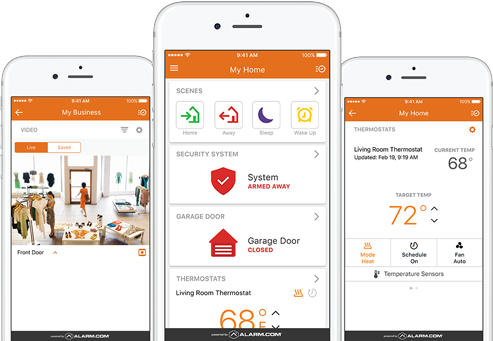 Protect, monitor, and control your security system from wherever you are over the web or on your smart phone. Automate lighting, heating and air-conditioning controls based on activity at your business location. Provide your customers and employees with greater comfort while saving on your energy bills.